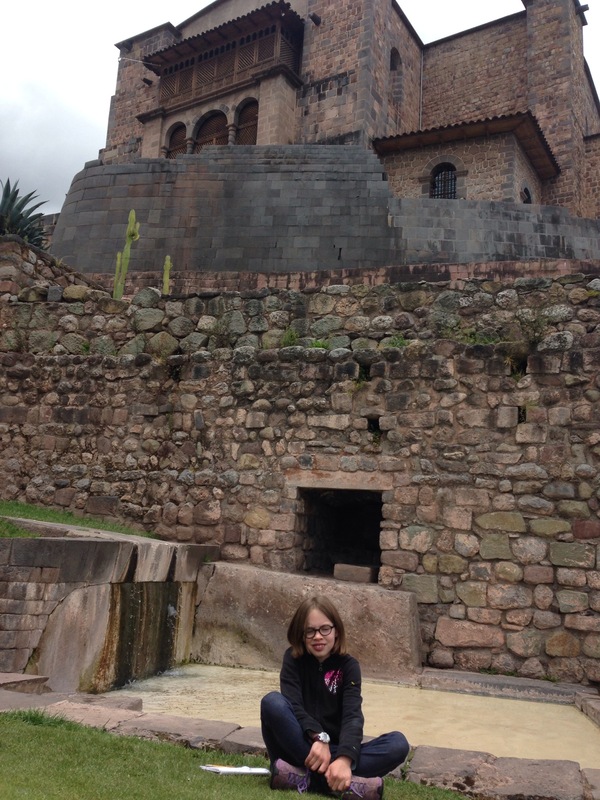 Today my family and I went to the Incan Temple of the Sun in Cusco, Peru. It was built because the Incan worshipped the sun. The Temple of the Sun was destroyed by the spanish conquistadors in the 1500s. The walls of the Temple of the Sun were once covered in gold. The spanish took the gold from the Temple of the Sun on ships to Spain. Then they destroyed the Temple and built a Catholic church in its place using the stones. 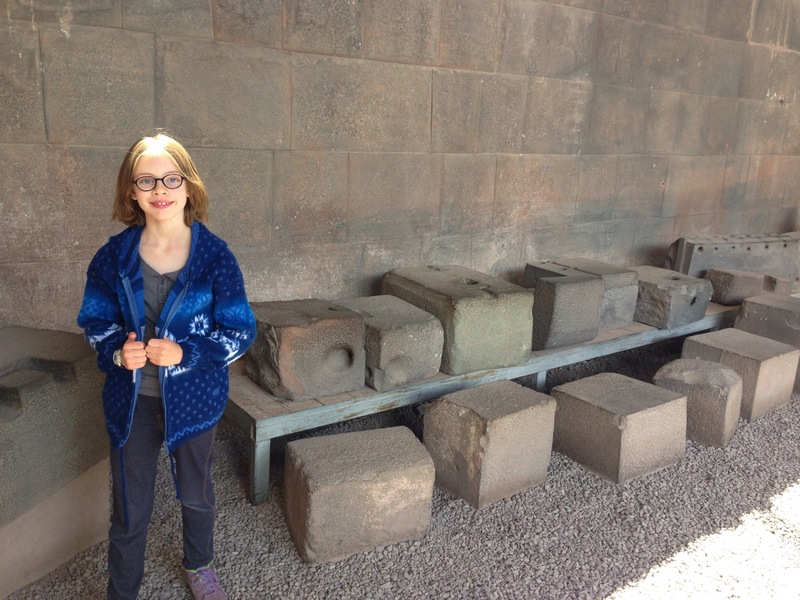 At the museum we saw Incan architecture, artifacts, and even mummies. 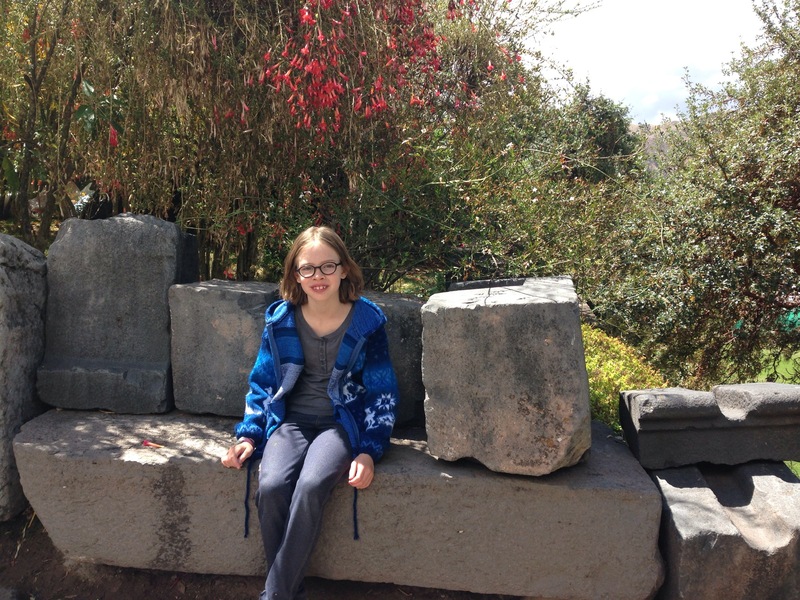 The Incas used stones to build their temples. Some of the stone was perfectly cut and rectangular, and some of it was shaped like a pentagon. They cut their stone with stone chisels and hot and cold temperatures. At the museum I saw a stone weapon that was shaped like a flower, and another that was shaped like a tooth. I also saw displays that showed that they grew some of the continent’s most common fruits like star fruit. There were many artifacts on display. The Incan emperors were mummified and they were used in parades. I saw some mummies at the museum! We also toured the church that was built over the temple. 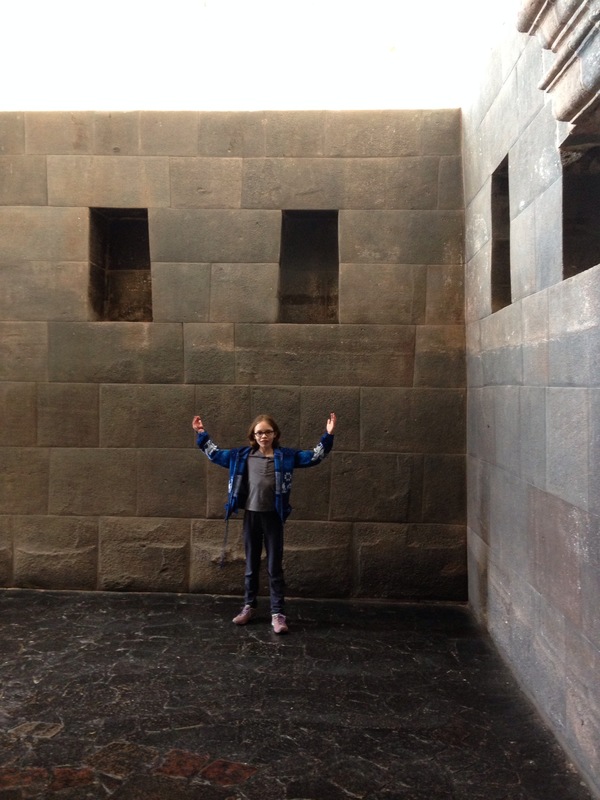 We saw rooms that were part of the original Incan temple that the spanish built around. The spanish covered them up, but 200 years later there was an earthquake and now you can see them again. The museum was interesting and a once in a lifetime experience that I will never forget! Hi Cat! what an interesting. museum I am interested in seeing mummies. from Lucía! Yes the mummies were really interesting and I wish that you were there to see it with me. I’m really excited until you come too. The Incans grew by ruling land and letting people join, but the spanish were different.